Why See Horrible Histories - Barmy Britain Part Four!? The Horrible Histories team truly are the gift that keeps on giving. After 2017's Best of Barmy Britain, they're back with Part Four of their zany series, teaching us all about the history of this sceptered isle, with the gory parts left in! 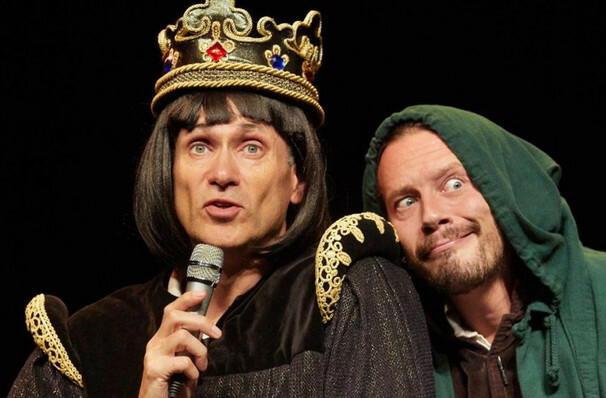 Through songs, sketches and silliness, be entertained by the rotten Romans, amazed by Richard III and his long stay in a Leicestershire carpark and grossed out by the duties of the night soil men - Britain's most disgusting job. For ages 5 - 105, the HH crew really do put on a show for everyone! Started as a series of books by Terry Deary in 1997, including titles such as Gorgeous Georgians and the Cut Throat Celts, Horrible Histories presents the past in an interactive and illuminating way that captures imaginations of all ages. In 2009 they created a successful TV show for CBBC that had both children and adults in stitches. For the last several years, they have mounted a live show every summer, tapping into the most interesting parts of history, with cameos from historical figures and re-enactments that brings the past to roaring, colourful life. Seen Horrible Histories - Barmy Britain Part Four!? Loved it? Hated it? Sound good to you? 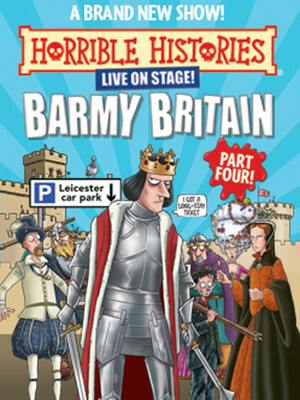 Share this page on social media and let your friends know about Horrible Histories - Barmy Britain Part Four! at Apollo Theatre.